A collection of family-friendly holidays offering holiday accommodation that is both rural and rustic. These holiday homes are for families looking for a little charm and adventure. They are situated in beautiful rural locations perfect for exploring what nature has to offer, with stunning natural playgrounds for all the family. Some are located within a few minutes drive of local attractions and tourist hotspots while others are literally in the middle of nowhere! The nature of these holiday properties means that there will be natural hazards for young children and organic gardens. If you are looking for manicured lawns and Scandinavian style interiors then these family holiday homes are not for you! However, if you are looking for hickeldy pickeldy charm and quirky interiors with beautiful rustic gardens then they will not disappoint! This Mongolian Yurt offers a relaxing and luxury style camping holiday. There is a private terrace with BBQ and a swimming pool within the grounds. Great fun! Secluded child-friendly holiday cottage with private gardens and access to the enclosed swimming pool. El Sueno is ideal for a rural family holiday yet within easy reach of the fabulous beaches in Andalucia, southern Spain. These wonderful family-friendly yurts in Lanzarote form part of a small eco village, with sea views. There are eight yurts to choose from all with private gated areas, kitchen, WC and shower – walk to beach and amenities just 5 minutes, shared swimming pool games and communal areas. A child friendly holiday cottage with amazing views. Stylish and cosy apartment suited to a couple with young baby/child. Sandy beaches close by and lovely gardens and pool on site. Beautiful detached holiday barn with sea views, located within this fun and quirky eco village in Lanzarote. Private enclosed garden and access to communal swimming pool, play areas, communal areas and 300m to beach. Beautiful 18th century farmhouse set in 6 acres of secluded grounds. 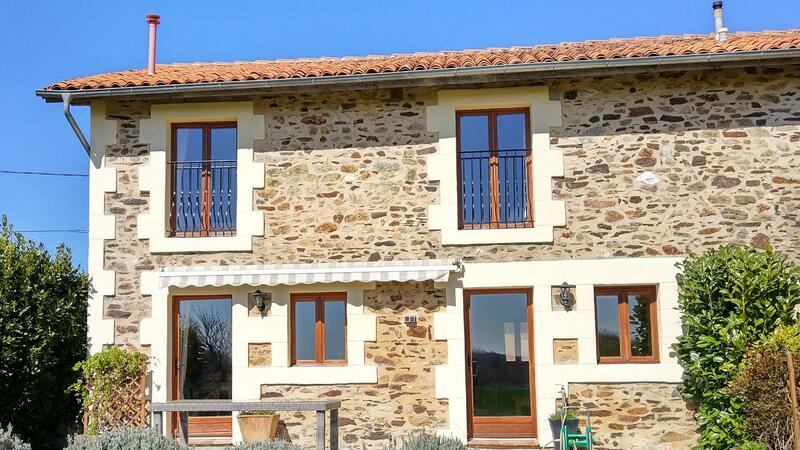 1 of 3 luxury gites with swimming pool, play house and sand pit. This beautiful Alachigh is set in an award winning campsite with amazing views and is located on the edge of 20 acres of woodland. An unusual property for your family holiday! The Lavuu is a cross between a tipi and a yurt. It is set on an award winning 20 acres of amazing woodland with log burner! Further affield you will find beaches and plenty to keep the whole family entertained. This unique yurt is set in the stunning Welsh countryside. With all the delights of camping with some added luxuries of beds and soft furnishings! This fantastic tipi is set on an award winning family run campsite in the beautiful surroundings of West Wales. Beautiful detached child-friendly holiday villa in Lanzarote, with private walled and gated garden, shaded dining hut and full access to the communal swimming pool, play areas, lounge areas and 300m to beach. It has a private thatched dining area with sea views. Just 10 minutes from the historic town of Lagos in Portugal sits Quinta das Achadas, a secluded oasis of child-friendly rustic apartments, with swimming pool, home cooked meals, babysitting, play room and more… Your hosts Jill and Julio invite you twice a week to sample a 3 course meal in their open plan country kitchen. Family glamping in an area of designated outstanding natural beauty in north Devon, located just five minutes from Coombe Martin. Sit back and reconnect with nature in one of five luxurious safari lodges. Family-friendly eco-friendly finca (holiday village) in Lanzarote offering self-catering holiday accommodation, yurts, cottages and villas, sea views, walk to beach, shared swimming pool, airport transfers and some with complimentary hybrid car. This eco-friendly holiday village is ‘off-grid’ meaning powered by solar and wind. Quinta das Achadas is home to a small collection of child-friendly holiday apartments in the Algarve, Portugal with shared heated swimming pool, playroom, playground, football pitch, ride-on-toys and babysitting. Home-cooked meals by the owners also available, making it the perfect holiday retreat for all the family, close to the historic town of Lagos and stunning beaches of the southern Algarve. A beautiful traditional cottage set in a peaceful valley location within walking distance to Alajar. The perfect base to explore the Huelva region. Molino Rio Alajar is perfect for a relaxing family holiday with toddler pool, sandpit and donkey rides to please the little ones. Molino Rio Alajar boasts a stunning setting in Andalucia, this child friendly cottage is the perfect base for exploring the beautiful valley and beyond. Swimming pool and donkey rides for the kids too! The perfect location for a family holiday full of adventure.